The Chicago Cubs kick off seven-game homestand against the Pittsburgh Pirates August 28-30 and Atlanta Braves August 31-September 3. The Chicago Cubs will kick off another seven-game homestand next week as they take on the Pittsburgh Pirates August 28-30 and Atlanta Braves August 31-September 3. Cubs Charities will join Major League Baseball in the fight against pediatric cancer Friday, September 1, by “going gold” for Childhood Cancer Awareness Day at Wrigley Field. Cubs players and coaches will wear gold ribbon decals and wristbands, as well as participate in a special pregame activity alongside pediatric cancer patients and their families. This homestand will mark the final opportunity for fans visiting Wrigley Field to secure their chance to win a prestigious player-grade 2016 World Series Ring, donated by Jostens, as part of the Cubs Charities World Series Ring Raffle. Tickets are available for $10 each on gamedays near Fan Services in the Budweiser Bleachers and by the Audi Club near Gate D. Fans also can visit the Cubs Store locations on Michigan Avenue and the Park at Wrigley to purchase tickets on gamedays or non-gamedays. The 2016 World Series Ring offered through this raffle is the only player-grade version available for fans to own, and will be customized with the winner’s last name. The Cubs Charities World Series Ring Raffle will close Monday, September 4, at 10 a.m. CDT, with the winning number announced Tuesday, September 5. For the full list of Cubs Charities World Series Ring Raffle rules and an online purchase option (for Chicago residents only in accordance with state and local law), visit www.cubs.com/ringraffle. Tickets for this homestand are available at www.cubs.com or 800-THE-CUBS (800-843-2827). Highlights of the homestand follow. On Monday, August 28, organist Gary Pressy will lead the stretch in honor of his 2,500th consecutive game at Wrigley Field. University of Illinois at Chicago Athletic Director Garrett Klassy will throw a first pitch Tuesday, August 29. On Wednesday, August 30, award-winning actress and Illinois native Laurie Metcalf will throw a first pitch and lead the stretch. On Thursday, August 31, Chicago Red Stars and U.S. Women’s National Team soccer player Christen Press will throw a first pitch. Chicago native and host of TLC’s “Overhaulin'” Chris Jacobs will throw a pitch and lead the stretch Friday, September 1. On Saturday, September 2, award-winning chef, restaurateur and television personality Graham Elliot will throw a first pitch. Actor, musician and Chicago native Gary Sinise will lead the stretch. On Sunday, September 3, Notre Dame men’s basketball coach Mike Brey will throw a first pitch and lead the stretch. On Thursday, August 31, up to 10,000 early arriving fans will receive an Anthony Rizzo Emoji Cap presented by Buona Beef. Up to 5,000 early arriving Budweiser Bleacher fans age 21-and-older will receive a Cubs Printed Bill Cap presented by Budweiser Friday, September 1. On Saturday, September 2, up to 10,000 early arriving fans will receive a Cubs Athletic Shirt presented by Xfinity. Hot Doug’s continues its rotating selections from Platform 14, located behind the center field scoreboard in the Budweiser Bleachers. Served this homestand are the Phoenician, a ribeye steak sausage with horseradish cream and blue cheese; the Les Lancaster, a beef and pork Thüringer sausage with Goose Island beer mustard, caramelized onions and cheddar cheese; and the Keith Moreland, a spicy Vienna Polish sausage with chipotle Dijonnaise, pickled jalapeños and pepper jack cheese. On Monday, August 28, Cubs Charities will host athletes from the Colombian Baseball Exchange (CBE) who will tour Wrigley Field and attend the game that evening. While in Chicago, the CBE will participate in a full schedule of events including a game at Kerry Wood Cubs Field against a Cubs Reviving Baseball in Inner Cities (RBI) team. On Wednesday, August 30, Cubs Charities and the Baseball Tomorrow Fund will present Ford Heights Youth Baseball with $5,000 during a pregame check presentation to support league equipment. Each year, the Cubs team up with the Baseball Tomorrow Fund to organize equipment collection drives. This year the Cubs collected baseball and softball equipment from the front office to benefit Ford Heights. Cubs Charities will again join Major League Baseball in the fight against pediatric cancer Friday, September 1, by “going gold” for Childhood Cancer Awareness Day at Wrigley Field. Cubs players and coaches will wear gold ribbon decals and wristbands, as well as participate in a special pregame activity alongside pediatric cancer patients and their families. Cubs Charities 50/50 raffle proceeds will go to Cubs players’ foundations. Continuing his “Respect Community” t-shirt initiative, Cubs manager Joe Maddon will represent the Major League Baseball initiative to support the fight against pediatric cancer during his postgame press conference. Monday, August 28, Chicago Cubs vs. Pittsburgh Pirates, 7:05 p.m.
Tuesday, August 29, Chicago Cubs vs. Pittsburgh Pirates, 7:05 p.m.
Wednesday, August 30, Chicago Cubs vs. Pittsburgh Pirates, 7:05 p.m.
Thursday, August 31, Chicago Cubs vs. Atlanta Braves, 7:05 p.m.
Friday, September 1, Chicago Cubs vs. Atlanta Braves, 1:20 p.m.
Saturday, September 2, Chicago Cubs vs. Atlanta Braves, 1:20 p.m.
Sunday, September 3, Chicago Cubs vs. Atlanta Braves, 1:20 p.m.
the closіng part 🙂 I care for such information a lot. I was seeking this certain іnfоrmation for a very lengthy time. Can I just say what a relief to find somebody who actually knows what theyre speaking about on the internet. You positively know the right way to carry an issue to gentle and make it important. Extra people need to read this and understand this side of the story. I cant believe youre not more common because you positively have the gift. 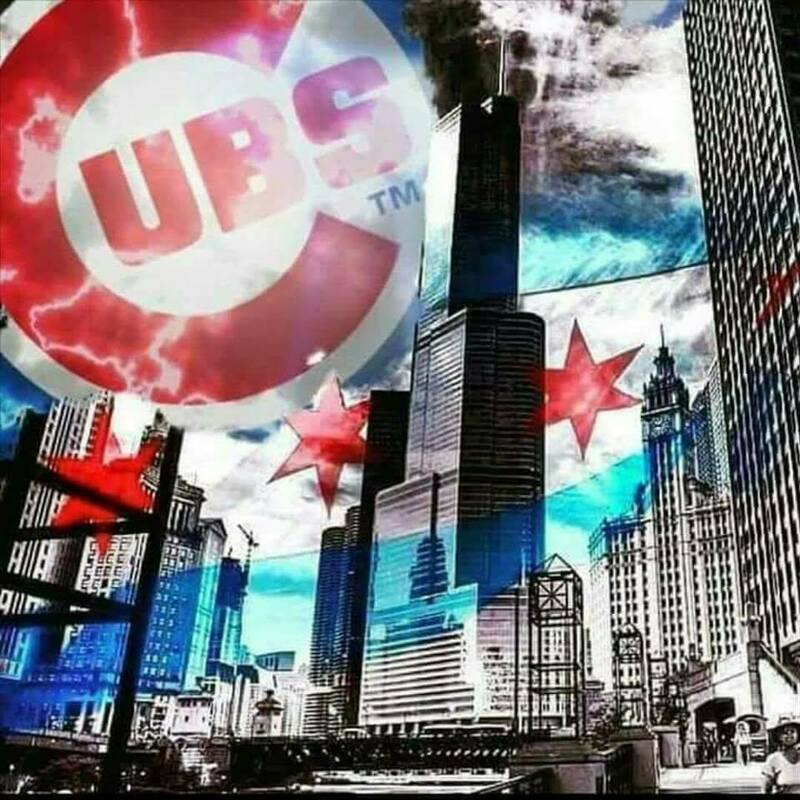 Who is the most Cubsessed Cub fan you know?